This month’s Q2 Big Box Hardware Breakdown reflects the divergent fortunes of the big two for their most recently completed quarter. 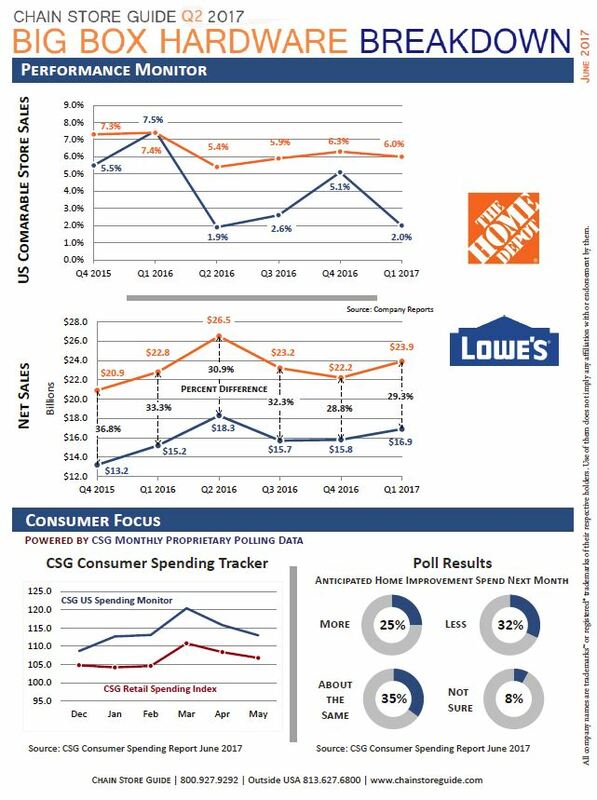 The Home Depot hit all the right notes, reporting better-than-expected comp sales, beating its earnings estimates for the quarter, and boosting its guidance for fiscal 2017 profits. Lowe’s wasn’t able to say the same.